The Meals on Wheels concept originated in Britain during the Second World War assisting frail older people who wanted to stay in their own homes, but who needed help to do so. 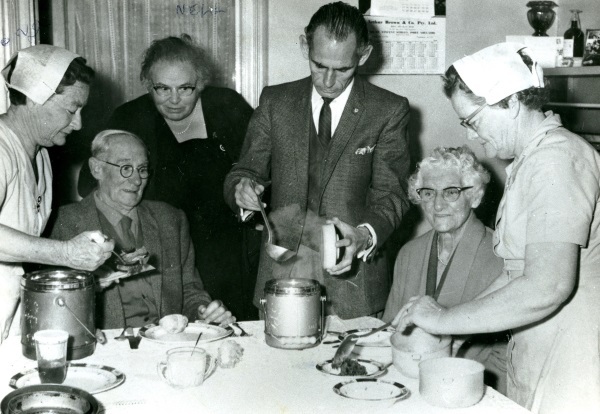 In Australia, Meals on Wheels started in 1952 in South Melbourne. The meals were delivered by a lady on a tricycle at a cost of 2 shillings per meal. In 1956, after visiting England, Mrs Rhoda Cameron of Ipswich (the wife of the then Commonwealth Health Minister) saw the need for a meal service to help feed the poor. ​On her return to Ipswich, she commenced a “Meals on Wheels” service in her back yard gardener’s cottage, serving meals from a thermos flask and pudding basin. 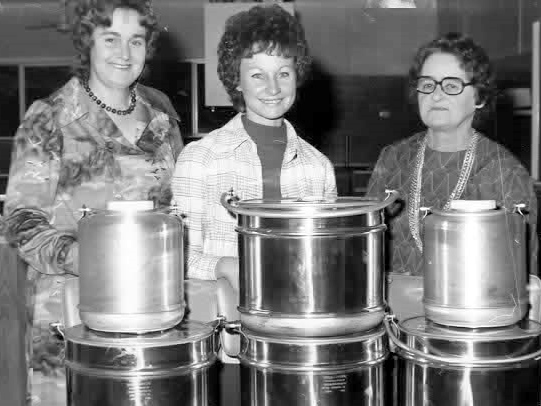 It was from these humble beginnings that the concept of Meals On Wheels services in Queensland was established and developed. ​Meals On Wheels Toowoomba was founded in July of 1960 by St Stephens Uniting Church. The Service prepared and distributed its first meals on 5 September 1960 from a motel in Toowoomba owned by Cecil Shannon. ​On the 6th of July 1963, construction of a new kitchen on the Manse grounds was completed and 45 meals were prepared and distributed from the new kitchen just two days later. ​In 1985, a block of ground was purchased by St Stephens Uniting Church at our current location at 81 Herries Street. Whilst awaiting completion of the kitchen on this site, meals were prepared and distributed from the Queen’s Park Kiosk. ​The new kitchen was opened on the 6th of September 1987, with an extension to the kitchen completed in 2001. ​Today, Meals on Wheels Toowoomba is powered by over 300 dedicated volunteers that prepare and deliver more than 250 hot meals per day to our disadvantaged, elderly and disabled citizens. Our delivery area spans both Toowoomba, Highfields and the surrounding areas. ​Meals On Wheels Toowoomba is grateful for the continued support of the St Stephens Uniting Church congregation and the local community of Toowoomba. Thanks to the effort and commitment of donors and volunteers, the vast majority of our clients are able to eat a nutritious meal every day and remain living in their home environment for much longer.